There are so many fun things to do in NYC with kids that it can a little bit overwhelming as to where to start. 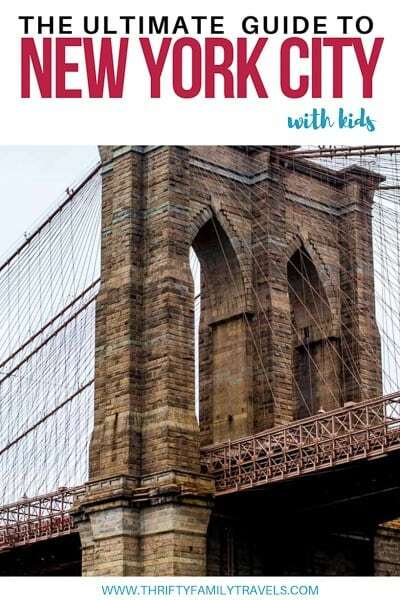 In this post I have tried to make it really simple for you and have pretty much covered all the best things to do with kids in NYC so you don’t have to go researching several different website or guide books. I cover fun activities in NYC for all ages from things to do in NYC with toddlers right through to things to do in NYC with teenagers and all ages in between. 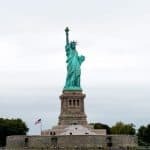 Whether you are looking for all the popular New York City attractions for families, free things to do in NYC with kids, NYC tours for kids or the best museums for kids NYC has to offer, you will find it right here in this post. 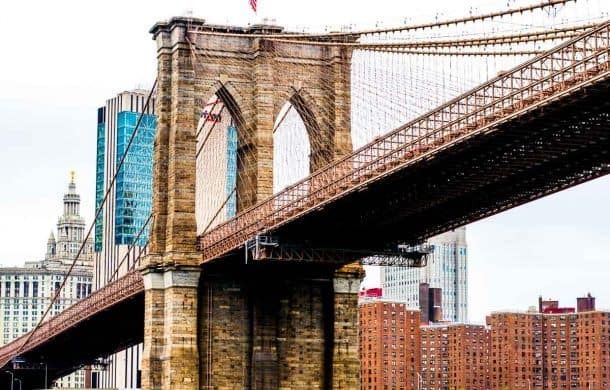 I also give you tips on how to save loads of money on some of the top NYC attractions, seriously do your research before you get to the attraction as you can save loads from booking online. 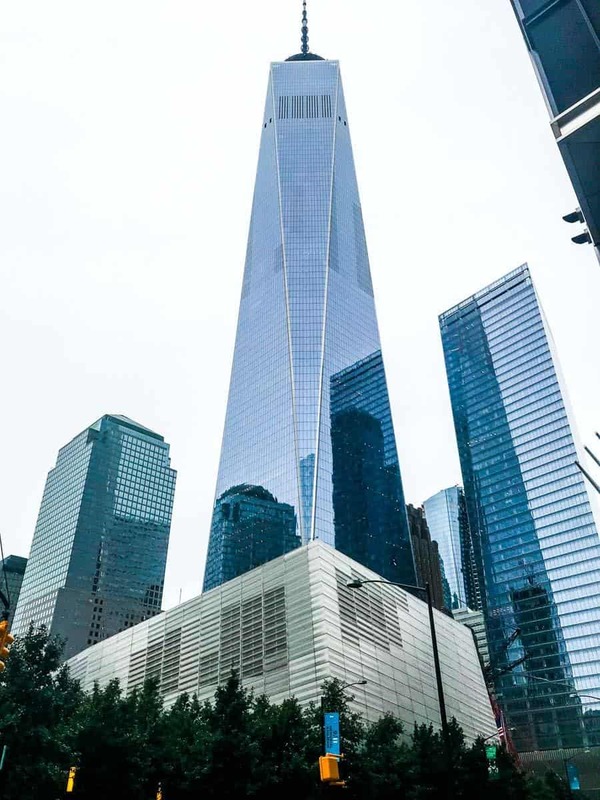 If you like someone else to take of the planning, I also show you some of the best NYC tours for families as well as the best NYC attraction passes that can save you even more money! Last I give some recommendations on where to stay in NYC with family as well as how best to get around, including to and from the airport. 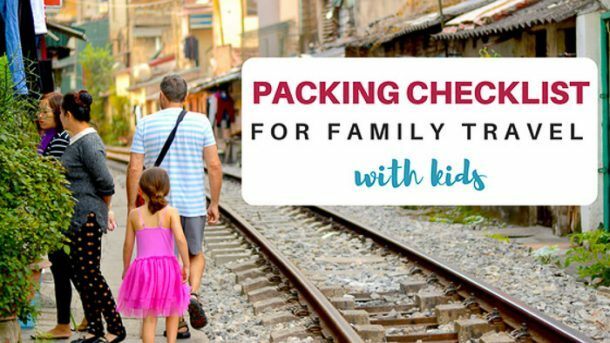 This is a bumper post, possibly one of the largest one’s I have ever done – but that is why this is the absolute complete guide to traveling to NYC with kids and hopefully it will you plan the best NYC trip with kids ever! 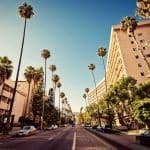 Are you heading to LA too? Click here to read my full guide on visiting LA with kids. 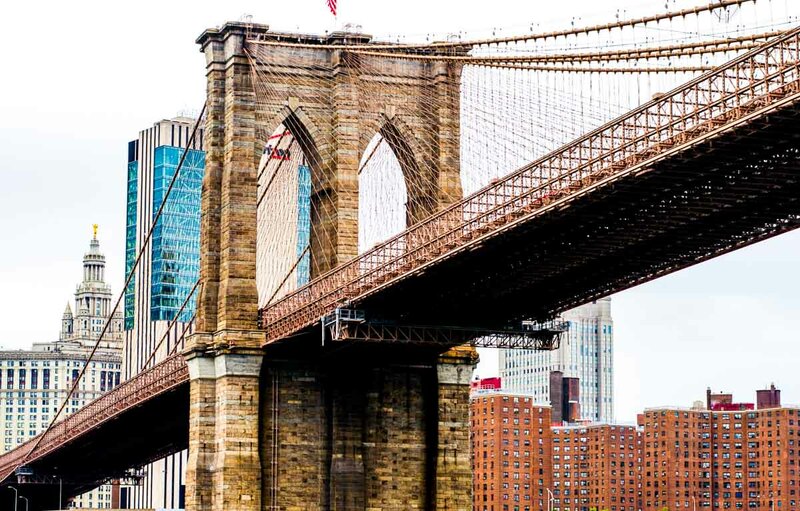 Throughout the family things to do in NYC section, I have tried to provide as much information as possible to make your planning for your family friendly NYC trip super easy. I have provided locations, opening hours and ticket prices. You’ll see that that I often recommend you purchase your tickets in advance from Klook. Yes, I will receive a small commission if you do purchase from Klook – but as you will see in most cases you will save yourself a stack of cash if you book through them. I use them myself to book tickets – sometimes I have been known to sit outside the ticket booth of an attraction and book tickets on my phone from Klook as they are sooooo much cheaper. Taking kids to NYC is crazy expensive so any savings you can make is well worth it. Sometimes it is cheaper to book tickets else where and I will let you know under each attraction if that is the case. Of course all the prices and information in this post are correct at the time of publishing. 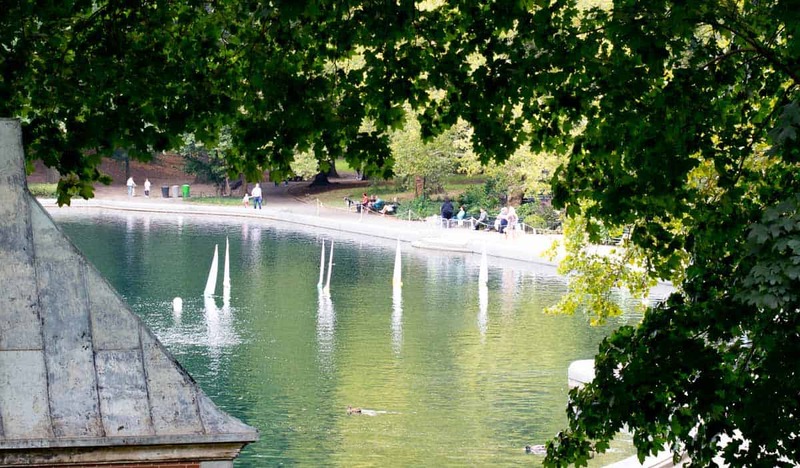 If you are looking for free activities in NYC, start with Central park. The perfect place for families wondering what to do with toddlers in NYC as well as great for older kids keen to spot some film locations from their favourite movies. The park is a huge 843 acres, with over 183 acres of man made park to run about in and so many places to climb, hide and explore. A park for all seasons, winter allows you to ice skate, have snow ball fights, eat toffee apples and take horse carriage rides whilst snuggled beneath a blanket. The summer and warmer months allow for kite flying, boat races in one of the many ponds, splash parks and various ball sports. Feeding the friendly squirrels, admiring the fountains, exploring the tunnels and taking many great photos at the bridges and statues throughout whilst looking at the beautiful skyline views. Certainly one of the best places to visit in NYC with kids of all ages. Central Park is open daily from 6am to 1am and there are various entrances between 59th Street and 110th Street and 5th Avenue to Central Park West where the park is located. Entry is free. If you’re looking for some of the great places to take toddlers NYC has to offer, the Central Park Zoo has to be one of them. Here you can see the seal pool and the penguin enclosure as well as other animals such as Snow leopards and Monkeys. There is also a 4D cinema which the older children will enjoy also. Ticket prices start at $13.95 US per adult and $8.95 US per child (under 2’s are free). To book tickets online click here. The zoo is open 10 am-5 pm (Mon-Fri) and 10 am-5.30 pm (Sat-Sun). Fun things to do with toddlers in NYC and smaller children certainly include a ride on the Central Park Carousel. Featuring 57 glorious horses and cheerful music. Ticket prices are $3 US per person per ride (cash only) open daily from 10am – 6pm. The carousel is located mid-park at 65th street. The ‘Mall’ is one of the last remaining stands of American Elm trees in North America and are one of the Parks most photographed features. Today, The Mall is lined with artisans and street performers and is a popular meeting point for runners and skateboarders. You will find this beautiful natural sight Mid-Park from 66th to 72nd Streets. 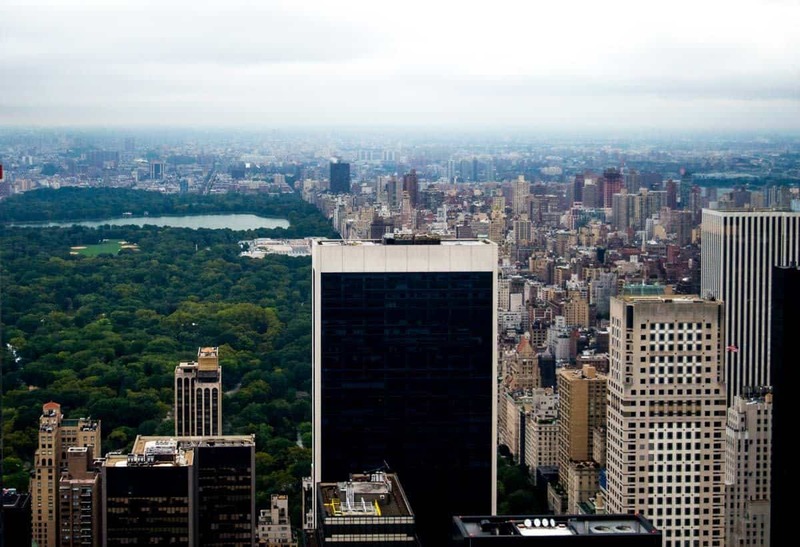 Considered the heart of central park, this Terrace offers breathtaking views of the Central Park lake and the woods. You will also be in awe at the beautiful painted tiles on the ceiling of Bethesda Terrace. Looking for things to do in NYC with family? How about a gentle row about Central Park’s 20 acre lake. Rowboats are available for rent during the spring and summer months at the Loeb Boathouse. Alternatively take a Venetian-style gondola ride around the Lake, or simply walking along the shore. The price for boat hire is $15 US for an hour with a $20 deposit (cash only) and $4 US additional for every extra 15 mins with a maximum of 4 people per boat. The price for gondola ride is $45 US for 30 mins, 6 people max. To hire a boat or book a gondola ride click here for more information. A 2.5-acre landscaped part of Central Park that pays tribute to the late Beatle, John Lennon after one of Lennon’s favourite songs, “Strawberry Fields Forever.” Located on the West Side of the park between 71st/72nd Streets. A cast iron bridge, crossing over the Lake- stretching sixty feet, offering some of the most beautiful views of the park. Located west of Bethesda Terrace connecting Cherry Hill and the Ramble. This restaurant on the lake offers both casual and formal dine in or take away options. Check out their website for seasonal opening times and menus. Click here to read this article by Roman Romes on a 3 Day Itinerary in NYC. Looking for things to do in Manhattan with kids that love the move “Night in the Museum”? Than a visit to the American Museum of Natural History is a must. The most famous and well-known museum in New York located at the west side of Central Park. The museum hosts the greatest dinosaur fossil collections in the world as well as other exhibits that will take you around the world, learning about the natural history of several regions. There is so much to do here that you will need to spend a good part of the day, or at least half the day if you are short on time. You can actually pay as much or as little as you like to enter the museum, however the suggested price is $23 US per adult, $13 US per child (2-12 yrs) toddlers under 2 are free. For discounted tickets I recommend you buy online from Klook as you can save heaps! At the time of publishing, adult tickets were only $16.16 US and Children tickets were only $11.31 US. That’s a massive saving! Click here to buy discounted tickets online. The museum is located Central Park West & 79th Street and is open 10 am-5.45 pm and is perfect if you’re looking for things to do with children in NYC. 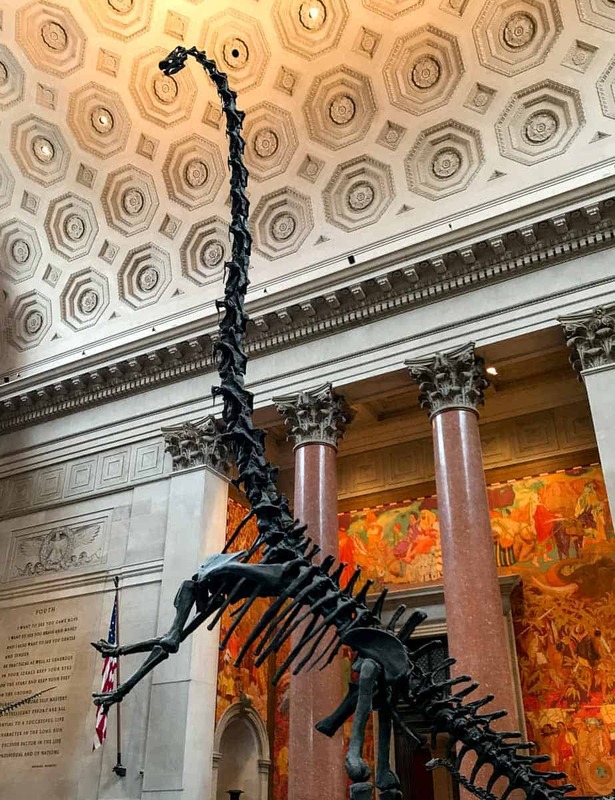 Tip: The American Museum of Natural History is included in the CityPASS, see below how this can save you even more money. The largest art museum in the United States. Its permanent collection contains over two million works, this collection of art ranges from ancient to contemporary times and is divided among seventeen departments. As the MET is so large it is easy to get lost in, you’ll probably need 3-5 hours just to see the permanent collection. I recommend you download the Met’s phone app here, to help you navigate around. This place is huge and its like a maze, I got lost trying to find the exit! You can also access the audio tour for free on a smartphone by clicking here, which will give you information into the different exhibits and art collections as you walk through the museum. Tickets prices are $25 US per adult (12+) and Children under 12 are Free. General admission tickets are also valid for three consecutive days at The Met Fifth Avenue, The Met Breuer, and The Met Cloisters. For discounted tickets and to lining up for tickets I recommend you buy online from Klook as you can save tons! At the time of publishing, adult tickets were only $16.16 US. That’s nearly $10 per ticket! Click here to buy your discounted tickets. 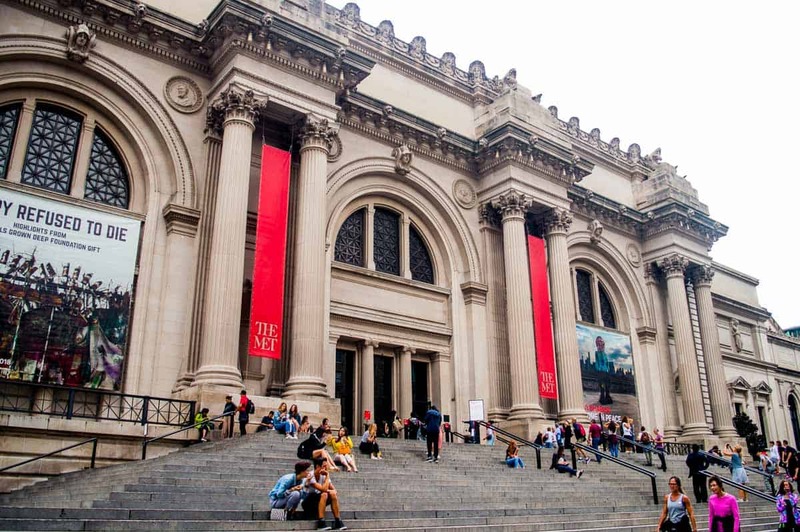 The Metropolitan Museum of Art is located at 1000 5th Avenue and is open 10 am–5:30 pm (Sun-Thurs) and 10 am–9 pm (Fri & Sat) Its closed on Public holidays. See their website for more information on opening times and exhibits. Tip: The MET is included in the CityPASS, see below how this can save you even more money. 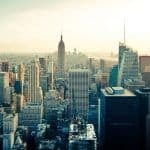 If you are looking for a unique way to see the sites of NYC as well as some of the great family fun NYC as to offer, than The Ride is a must do bus tour. This bus tour entails a fusion of entertainment theatre and sightseeing around New York City. This multi-million dollar bus tour, takes you to see all the top sights whilst interacting with the street performers. 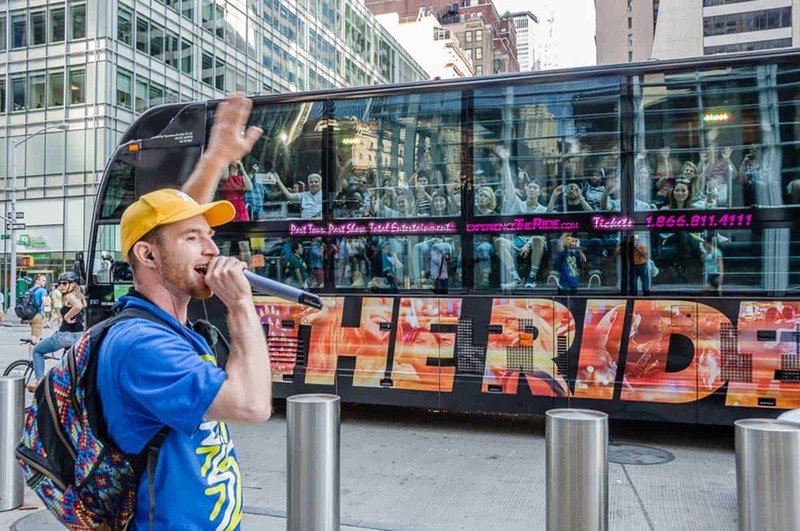 On this crazy but fun 45-foot-long bus with stadium seats and surround sound you will learn about New York City whilst singing your heart out, dancing and having a fantastic time. Certainly one of the more unique things to do in NYC. This is such a fun and different way to see New York City!! On the 90 minute ride you visit over 10 different NYC neighbourhoods and see all the top sights. Whilst checking out all the top sights of NYC, you get to watch a range of street performances such as Ballet dancing, rappers and hip-hop dancers. And the hosts are hilarious and really get the guests involved. Seriously I was in stitches the entire ride! The Ride offers 3 different tours, namely the Ride, the Tour and the Downtown Experience. All tours are family friendly with the Ride being only suitable for children 6 and over. There are a variety of different tour times throughout the day ranging from 9 am to 10.45 pm- dependent on the day you book. All tours leave from in front of Chevy’s Mexican restaurant on 42nd street and 8th Avenue in midtown Manhattan. The Ride ticket is $74, The Tour $35 and the Downtown Experience is $54 – USD prices. Tickets must be booked online. If you want to book the Ride tour – get discounted tickets by purchasing online at Klook – at the time of publishing tickets were $66.15 AUD on Klook – which is a saving of around $34 AUD!!! Click here to buy your discounted tickets from Klook. Heading to NYC for Christmas? Click here to read about the NYC Christmas Markets. Recognize the building to the left? 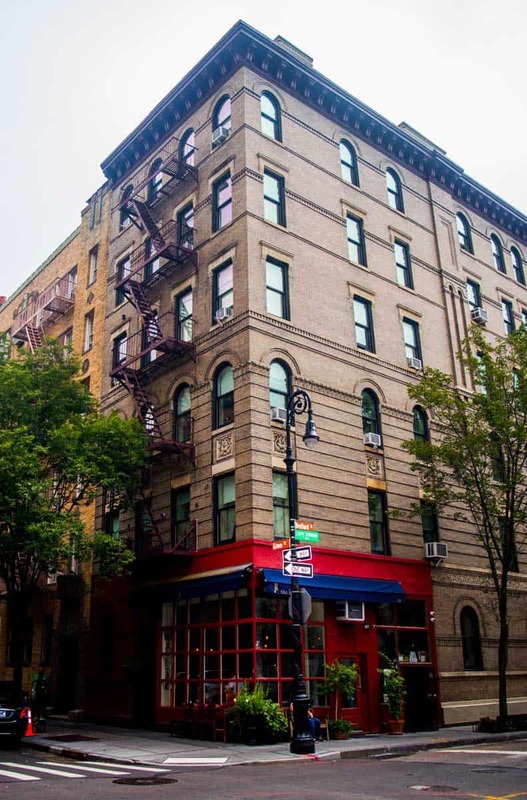 Its the exterior of the Friends apartment building. This is just one of the many sites that I visited during the NYC TV and Movie Tour with the guys from On Location Tours. Given Manhattan happens to be one of the most filmed cities in Hollywood, I’d highly recommend a tour with these guys and check out some of these film locations. There are many tours to choose with most being family friendly. Perhaps the best one for kids would be the ‘Super Tour of NYC’. This tour will show you where your favourite comic book heroes live, work and save the day! You will see locations from movies like the Avengers, Spider-Man, Batman, Superman, and more. The price per adult is $49 US and $35 US per Child (6-9) children under 5 are free. As mentioned I recently did the NYC TV and Movie Tour which is a more general tour and super family friendly, however the kids might not know many of the movies. Regardless it is a great way to show the family around NYC and most of the tour is on board a comfortable bus so you don’t have to worry about little tired feet. Our tour guide Benji was extremely knowledgeable about everything related to TV and movies and only too happy to answer all our questions. Tours run on different days of the week, so check online to ensure the tour of your choice is available when your in NYC. To view all tours click here. Prices range from $27 US per adult up to $54 US per adult. Click here to read tips on traveling to NYC with a baby. The Statue of Liberty is an Iconic and famous colossal sculpture on Liberty Island and one of the top family friendly things to do in NYC. To visit the island and see the statue up close, there are several different tickets you can purchase. Prices start at $25.50 US per adult (12+) and $16 US per child (4-12), under 4’s are free. For more information and exact prices on each ticket visit the official website here. If you want to see the Statute of Liberty for free, take the Staten Island Ferry. Or you can also see the Statue of Liberty as part of the Circle Line Cruise, which is where I took the above image. Click here for more information on the cruise. Tip: The Circle Line Cruise is included in the CityPASS, see below how this can save you even more money. I visited Ellis Island many years ago and just loved it and recommend it for families with school age children. You will not only learn about Ellis island’s history as an immigration station, but also about what it was before and after. Just the process of getting to Ellis island and entering the immigration museum, will be memorable and exiting from travelling by ferry to going through security, you will get a sense of what immigrants felt as they immigrated to America. Travel to Ellis island and entry to the immigration museum is included in some of the ticket options mentioned above for the Statue of Liberty. 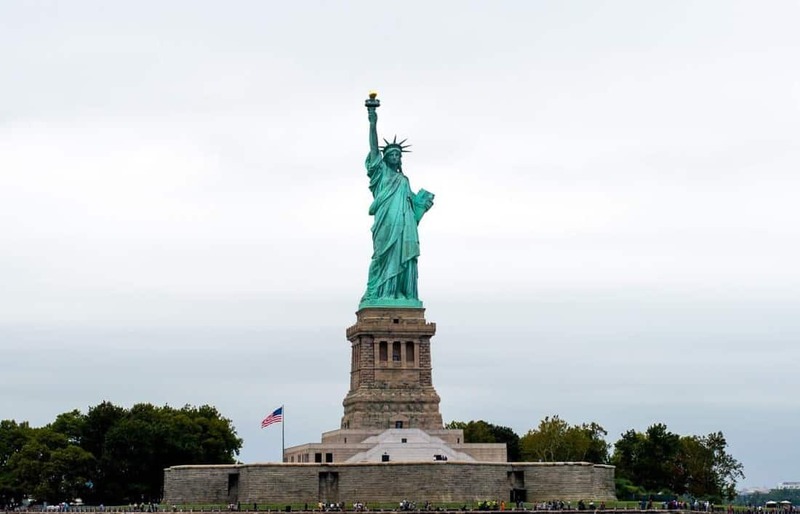 For an organised tour, Klook have a half day 4-hour tour of Liberty Island and Ellis island which includes admission to the pedestal of the Statue of Liberty, and access to the museum. There’s also a multi-language audio guide on the ferry and a bilingual guide that will accompany you on the tour. At the time of publishing ticket prices were $50 US per adult (12+) and $44.63 US per child (6-12). Click here to buy these tickets. Visiting NYC in Winter? Click here for tips on where to get the best hot chocolate. Top things to do in NYC with kids include a visit to the 86th floor of the Empire State Building. Here you will get incredible panoramic view of New York from the highest open-air observatory in the city, 320 feet above ground, which also lights up at night. Relive cinematic moments at the same time from movies such as King Kong and Sleepless in Seattle whilst taking in the views of the Big Apple including Central park to The Brooklyn Bridge and more. Tickets are $38 US per adult (12+) and $32 US per child (6-12) and under 6’s are free. For discounted tickets I recommend you buy online from Klook as you can save a stack! At the time of publishing, adult tickets were $28 US, whilst kid’s tickets were $23.76 US. That’s a massive saving! Click here to book your discounted tickets. If you want to experience the views both during the day and at night – you can purchase a AM/PM ticket here. 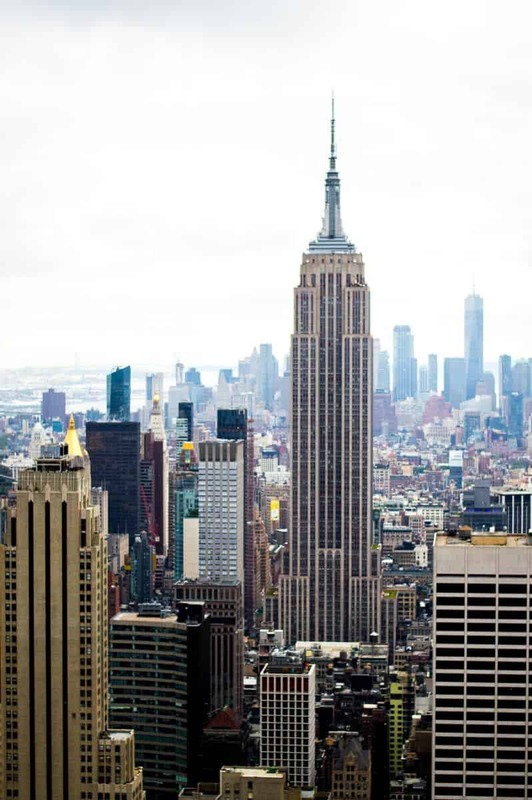 The Empire State Building is located at 350 5th Avenue and is open daily from 8 am-2 am. Tip: A visit to the Empire State Building is included in the CityPASS, see below how this can save you even more money. Alternatively, the Rockefeller centre also has 360-degree spectacular sweeping views of Manhattan from its expansive indoor and outdoor viewing areas, 260 m above ground. Take in the sights of the Statue of Liberty, Empire state Building, Central Park and more. General admission daytime tickets are $36 US per adult (13-61), and $30 US per child (6-12 yrs) and toddlers under 2 are free. Or you can purchase the Sun & Stars tickets to visit during the day and return after sunset to see the city in a whole new light. These tickets cost $54 US per adult and $43 US per child. For discounted tickets, I recommend you book online through Klook to save $$$’s – At the time of publishing – general admission adult tickets were $30.50 US and children tickets are $27 US. Click here to book your discounted tickets. The Rockefeller Centre is in midtown Manhattan, between 48th and 51st street and fifth and sixth avenue and is open 8am to Midnight. Tip: A visit to the Top of the Rock is included in the CityPASS, see below how this can save you even more money. For the sporty family, things for kids in NYC include a visit to the world’s most famous sports and entertainment arena and going to see a basketball game or concert. Whilst watching balls get dunked and eating popcorn or hotdogs, at a basketball game, laugh as a family at the kiss cam that searches the crowds. Ticket prices would vary depending on what you wanted to see at the time of year you are visiting New York. To check out the event calendar and buy tickets click here to visit their official website. Alternatively, you can partake in an all access behind the scenes tour where you will learn about iconic moments that have made sports and entertainment history. Tour Ticket prices are $30 US per adult (12+) and $26 US for children. Click here for more information and to book. Madison Square gardens is located at 4 Pennsylvania Plaza- directly above Penn Station. Easily get here by taking the train to 34th street/Penn station. There is plenty of fun for kids in NYC – Time Square. A place that is daytime 24 hours a day due to all the amazing lights. A visit to this iconic landmark whether it be dining, shopping or taking in all the crazy characters and soaking in the energy of this place is essential. Fun things for kids to do in NYC Time Square include hugging a cartoon character or super hero, check out the toy stores or just watch the dazzling neon signs. Times Square is located at West 42nd Street, between 7th Avenue and Broadway, in Manhattan. The general Times Square area consists of 7th Avenue and Broadway, from 41st to 47th Street. Check below for more things to do in NYC with family in Times Square. Fun things for kids in NYC include a visit to Madam Tussauds. Have your selfie sticks on hand and pose with some of the worlds most famous celebrities, world leaders and more at this famous wax attraction. With over 200 wax figures to rub shoulders with you will be sure to have some family fun at this attraction. Ticket prices are $34 US per Adult (12+) and $30 US per Child (3-12). For discounted tickets, I recommend you book online through Klook to save heaps. At the time of publishing – adult tickets were $29.64 US and children tickets are $23.80 US. Click here to book your discounted tickets. Madam Tussauds is in Times Square on 234 W 42nd Street. For opening times see their website. One of the most kid friendly things to do in NYC is a visit to the miniature world of Gulliver’s Gate. This is particularly great if you are visiting NYC with toddlers or younger children. This is the world’s most technologically advanced, interactive display of miniatures- everything is tiny, but you will have big-time fun at this attraction. 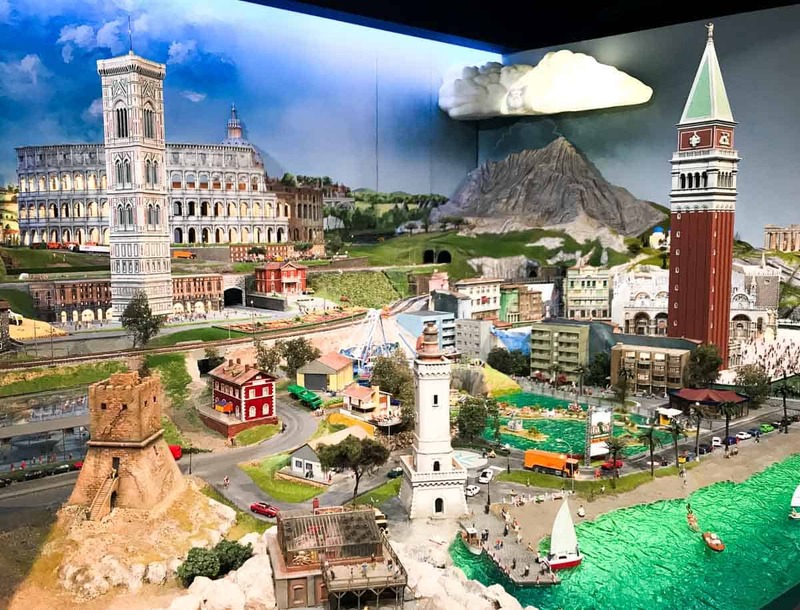 This modern and interactive museum with plenty to discover, offers miniature figures of world of famous buildings, all over the world at one time. Kids and adults alike will love discovering new little detail in the various worlds and checking out cities that they have visited too. No doubt the little ones will particularly love the key they are given upon entry, which can be used used to activate different parts of the miniature sets. Ticket prices are $36 US per adult US$36, $27 US per child (4-12) and children under 4-Free. For discounted tickets, I recommend you book online through Klook to save money. At the time of publishing – adult tickets were $25 US and children tickets are $24.80 US. That’s a saving of ver $10 per ticket!! Click here to book your discounted tickets. The location of Gullivers Gate is 216 west- 44th Street, located between 7th and 8th Ave, and is open between 10am and 8pm. A store that specialises in M&M’s candy and merchandise has got to be one of the best places for kids in NYC. Whilst at Times Square a visit to this huge candy store is a must for all chocolate and candy lovers regardless of age. You will be amazed at the tall canisters of M&Ms. The kids will love choosing all the colours they want, and you will all have great time just hanging out and having fun. Located at 1600 Broadway, between 48th and 49th streets and open daily between 9am-12am. If you’re in NYC with tweens, they will love a visit to Midtown Comics. This two-story store is the place to go to shop comic books, graphic novels, action figures, and more. You will be amazed by the number of comics, books, memorabilia, and action figures they have here. If you love comics and superheroes, this is definitely a must visit, to get your superhero fix. Located at 200 west 40th Street and open Mon-Sat 8am-12am, Sun 12pm-8pm. This 90-minute, timed-entry entertainment experience is found in the heart of Times Square, located in the former headquarters of The New York Times. Dive in the deep to the ocean without getting wet on this undersea adventure that showcases cutting-edge technology and photo-realistic animation that takes you on an interactive journey from New York City to the South Pacific. You will be in awe whilst digitally experiencing the sea’s greatest wonders and mightiest creatures in the ocean. Tickets are $29 US per adult (12+), $24 US per child (3-12). Click here if you prefer to book your tickets online in advance. Open daily from 10am until 9pm (sun-Thurs) and 10pm (Fri-Sat). This Times Square family friendly attraction is home to some of the most eccentric and thrilling artifacts and exhibits found in New York City. This museum is the biggest Ripley’s in North America and many of the weird and wonderful objects on display here, were discovered and owned by Robert Ripley himself. Whilst here you will be amazed at the rare items, like the vampire killing kit from the 1840’s, the 1450 kg meteorite or the two-headed calf, to name but a few. Tickets are $32 US per adult and $24 US per child (4-12). For discounted tickets, I recommend you book online through Klook to save money. At the time of publishing – adult tickets were $16 US and children tickets are $15 US. That’s a saving huge per ticket, an enormous $16 on the adult tickets and $9 on the child tickets!! Click here to book your discounted tickets. Located in Times square at 234 West 42nd Street. Open daily from 9 am-1 am. Whilst in New York city why not take in a Broadway show to entertain the whole family. 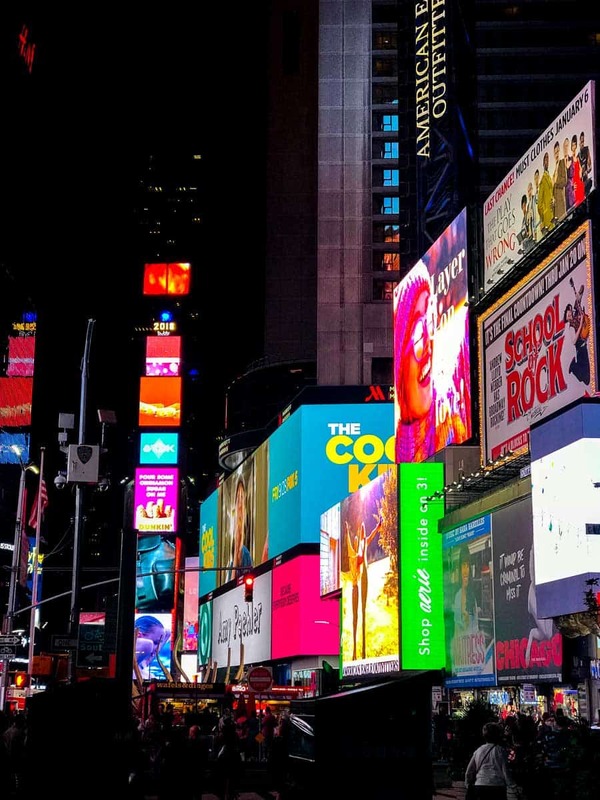 A good portion of the city’s Broadway theatres are within walking distance to Times Square. 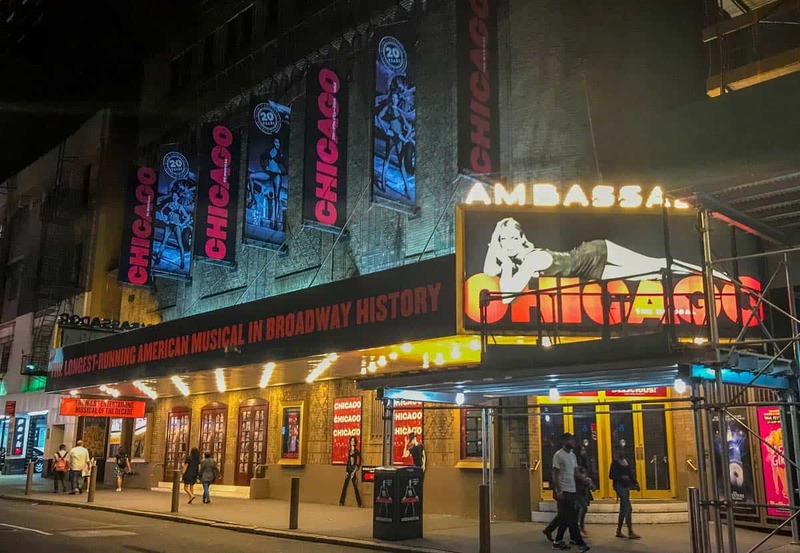 The Broadway theatre district has over 41 theatres, so plenty to choose from. Ticket prices would vary depending on the show that’s takes your fancy, but you can grab same-day tickets for a bargain for most theatres. The more flexible you can be on the show you want to see the more you will save. If you don’t mind queuing, try the TKTS booth on the day for discounted tickets. Or if you don’t want to wait in line, the TodayTix app has discounted tickets too. If you are feeling lucky, you can try for lottery, rush, or standing room only tickets, which in general will require you to wait at the box office during the day. A NYC local told me the best way to get cheap tickets is by just turning up to the box office on the day you want to go and ask for rush tickets. But if you have your heart set on seeing a certain show, check out Broadway Box, for discount codes for many popular shows. Take that discount code and buy your tickets from the theatre box office, this will ensure you dodge the convenience fee which can be $10 or more per ticket. Want to see a child friendly show like Good Morning America from its Times Square studio at the corner of West 44th Street and Broadway. Well you can, and no tickets are necessary! Taping begins at 7 am Monday through Friday, with crowds forming an hour beforehand. If you want to be apart of the live audience then you can, request tickets online. Tickets are free and can go quickly. Submitting a request doesn’t guarantee that you’ll get a ticket. You may be put on a waitlist. If tickets become available, you will be notified by email. You more than likely won’t be guaranteed the date you want which may be tricky whilst scheduling around your 20itinerary. If you have older children, then its certainly one of the fun things to do with teenagers in NYC going to see a live taping of a show. Many shows allow children from the age of 16. Click here for more information about how to get tickets. 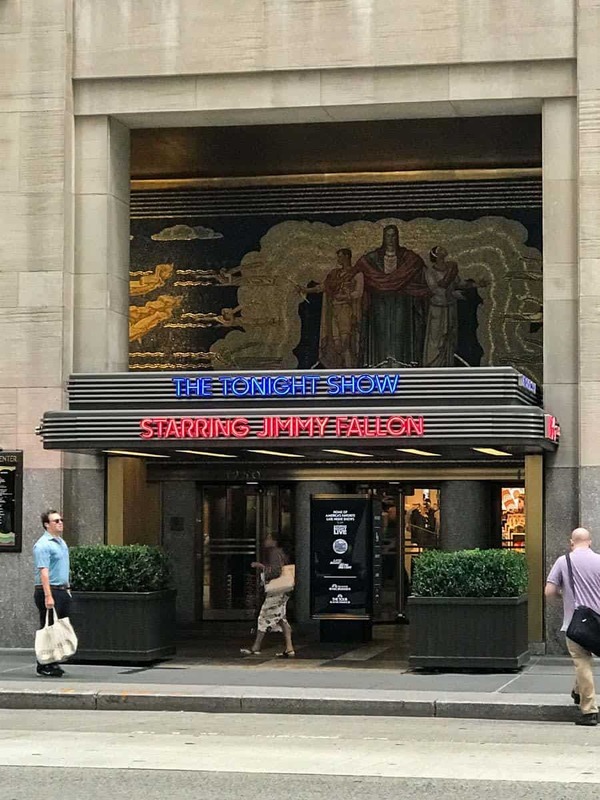 Years ago when I came to NYC as a solo traveler I go free tickets to see the David Letterman Show and it was fantastic. They had the Killers perform on the show, before anyone had really even heard of them. It certainly was a highlight of the trip and I highly recommend going to see a live show whilst your in NYC. Believed to be one of the most beautiful buildings in the Upper East Side, created by the Solomon R. Guggenheim Foundation, dedicated to modern art. See works by Picasso, Kandinsky and a permanent collection dedicated to many architects. So, if you are a fan of modern art and architecture a visit to this museum should be high on your itinerary. Ticket prices are $25 US per Adults (12+), and Children under 12 are Free. To save money and time buy online at Klook. At the time of publishing, adult tickets were only $22.73 US. A small saving, but a saving nonetheless! Click here to buy your discounted tickets. The location of the Guggenheim Museum is 1071 5th Ave. at 89th Street. For opening times and exhibits check out their website. Tip: A visit to the Guggenheim Museum is included in the CityPASS, see below how this can save you even more money. 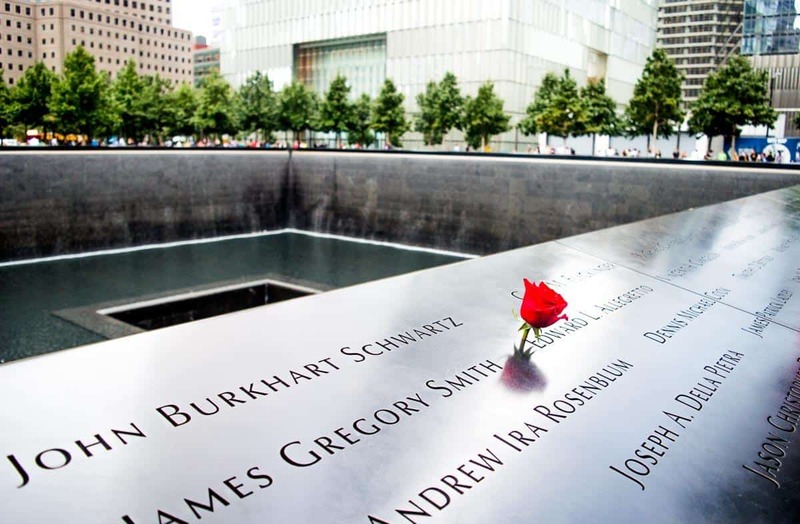 Here you can pay your respects to the victims of the 9/11 attacks by taking a moment of quiet at the twin reflecting pools memorial, where the names of every person who died in the attacks are inscribed. At the museum you can examine the history and impact of the events and learn stories of loss and retrieval with artifacts, videos and voice recordings salvaged from the site. The museum is massive and you will need at least half a day to see it all. I also personally found the museum very confronting and was brought to tears on several occasions, so consider whether this is place for your children before entering. However if you can, I highly recommend a visit, it is extremely well done and you will learn a lot not just about the attacks but about the people who lost their lives. The 9/11 Memorial is free and open to the public daily from 7:30 am to 9 pm. Ticket prices to the Museum are $24 US per adult (18+), $20 US per young adult (13-17) and $15 US per Child (7-12), under 7’s are free. Click here if you prefer to book your tickets online in advance. The Location of the 9/11 Memorial & Museum is 180 Greenwich street- the World trade centre site former location of the Twin Towers. For information on opening times check out their website. Tip: A visit to the 9/11 Memorial is included in the CityPASS, see below how this can save you even more money. Close by the 9/11 Memorial site is the new One World Trade Centre; the tallest building in the USA and the 6th tallest building in the world. Here you can journey up to the observatory, with the elevators bringing you to the top of the building in less than a minute. The Observatory on the 100th floor, offers breathtaking 360-degree views of New York City, the Hudson and East Rivers, and beyond. Prices for standard admission are $34 US per adult (13+), $32 US per child (3-12) and children under 3 are free.For discounted tickets, I recommend you book online through Klook to save money. At the time of publishing – adult tickets were $31 US and children tickets are $24.66 US. Saving stacks on child tickets!! Click here to book your discounted tickets. Located on top of One World Trade Centre in Lower Manhattan in the northwest corner of the World Trade Centre site. An American military and maritime history museum with a collection of museum ships and aircraft on display. The only museum where visitors can experience the legendary vessels such as the aircraft carrier USS Intrepid, the cruise missile submarine USS Growler, a Concorde SST, a Lockheed A-12 supersonic reconnaissance plane, and the Space Shuttle Enterprise. Ticket prices to this museum are $33 US per adult (13+), $24 US per child (5-12) and under 5’s are free. For discounted tickets I recommend you buy online from Klook as you can save heaps! At the time of publishing, adult tickets were only $25.91 US and Children tickets were only $19.51 US. That’s a huge saving! Click here to buy discounted tickets online. Located at pier 86 at 46th street in the Hell’s Kitchen neighbourhood on the west side of Manhattan and open 10 am-5 pm (Mon- Fri) and to 6 pm Saturday & Sunday. Tip: A visit to the Intrepid Sea, Air & Space Museum is included in the CityPASS, see below how this can save you even more money. One of New York’s landmarks- a magnificent 19th-century church soaked in tradition and known for its remarkable works of art and stained-glass windows. Entry is Free but a suggested donation of $5 US per person is always welcome and will be used to support “America’s Parish Church”. The Cathedral is located on Fifth Avenue between 50th and 51st Streets, just across from the Rockefeller Centre, opening times are 6.30 am-8.45 pm daily with all public tours beginning at 10 am and lasting approximately one hour. After the fall of the Berlin Wall, pieces were divided up and sold, four of these pieces reside in New York City. Worth a visit if you want to see real iconic pieces of Art from history. The lobby is open to the public seven days a week, free of charge. The pieces are now located in the lobby of 520 Madison Avenue on 53rd street to preserve the historic slabs from weather and further decay. This triangular 22-story steel-framed building has been the object of paintings, photos, postcards and films, making it an essential symbol and landmark of New York. As the Flatiron is an office tower with no public access, tourists cannot enter but from its exterior you can admire the building’s improbable dimensions and exquisite details. The Flatiron Building is located at the intersection of Broadway and Fifth Avenue, between 22nd& 23rd Street. Bryant Park is a year round beloved park and is known to New Yorkers as Manhattans Town square. This park host thousands of free activities, classes and events throughout the year, head over to the official website to see the times of activities that are on during your visit. There is also a carousel here, bar, restaurant and when I visited early in the evening there were pop up places serving wine and food as well as free theatre. The park is open daily however, the hours are seasonal click here for more information. Located between Fifth and Sixth Avenues and between 40th and 42nd Streets in Midtown Manhattan. One of the busiest train stations in the world and the most extraordinary public space in New York City. The highlight to see on your visit to this famous historic station include the opal-faced clock, above the information booth. Entry is free and audio and guided tours are available for those with a passion for history. Guided tours are $30 US per adults (10+) and $20 US per child. For more information or to book a tour online go to the Grand Central Terminal website. The station is open daily from 5:30 am – 2:00 am and is located on 89 East and 42nd street. Brooklyn Bridge links Manhattan and Brooklyn and is a major tourist attraction offering fantastic views of the NYC skyline. It is by far one of the best free things to do in New York with kids. The bridge is surprisingly long, at just over a mile, so put aside a couple of hours to make your way there, walk across and admire the view. The more scenic route is to walk from Brooklyn to Manhattan, so you can take in the skyline as you walk. However, it is just as fun to walk from Manhattan to Brooklyn, where you can then head to Brooklyn Bridge Park. The Park is a lovely green space on the water’s edge with impressive views of the Lower Manhattan skyline. There is a dedicated shared pedestrian and cycle path above the traffic in the centre of the bridge. It can get incredibly busy and the cyclists are always in a hurry, so be aware of your surroundings, stay to the right and go early in the morning to beat the crowds. The Brooklyn Bridge can be accessed from Manhattan or Brooklyn. The closest station to the Manhattan entrance is Brooklyn Bridge-City Hall station on the 4,5 and 6 trains or the Chambers Street station from the J or Z trains. The closest station on the Brooklyn side is the High Street-Brooklyn Bridge stop on the A and C subways. The Highline was once a 1.45-mile-long (2.3 km) elevated rail structure which has now been turned into a lovely public park / walkway. The park features lovely gardens, beautiful artworks, food vendors and exceptional views of the Hudson River and New York City skyline. There are also many tours available, from free public tours, private tours, art tours and garden tours. For more information on tours and seasonal opening hours visit the official website. 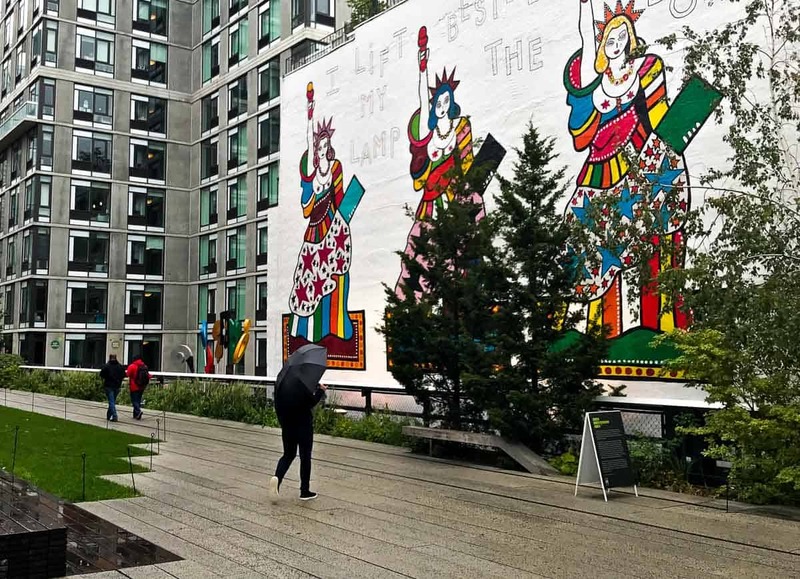 The Highline runs from Gansevoort Street in the Meatpacking district to West 34th Street on Manhattan’s West Side between 10th-12th Avenues. There are also various entrances in between, so you don’t need to walk the entire length if you don’t wish to. The ice cream shop from the film Serendipity starring John Cusack and Kate Beckinsale- Serendipity 3: is a restaurant located at 225 East 60th Street, between Second and Third avenues. 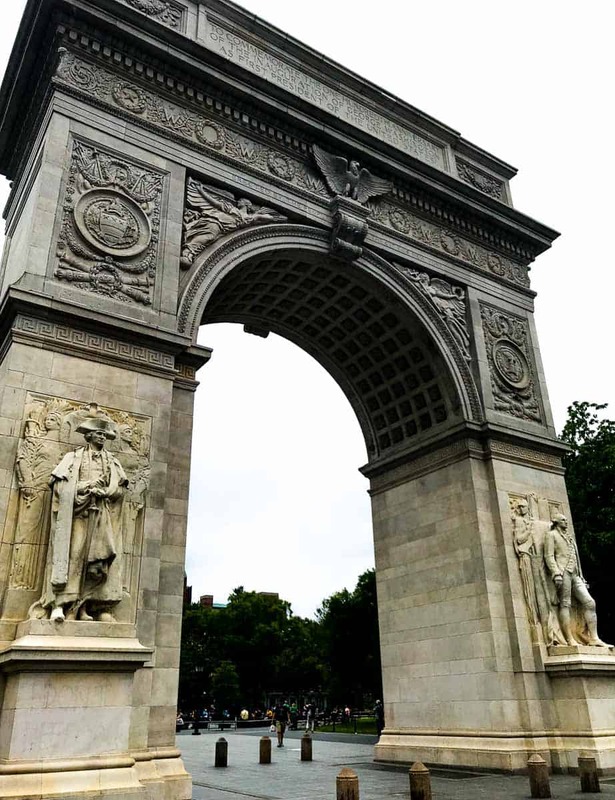 Washington Square Park and Arch is a public park that’s just under 10 acres and is situated in the Greenwich Village neighbourhood of Lower Manhattan. It is a landmark and often features in many films and TV shows. There are many events in the park throughout the year click here for more information on the parks event calendar. Nonetheless, even if your visit is at a time when there are no events on, there is plenty to do in this park in all seasons from playing or watching many chest battles under the shade of the trees, relaxing and have a family picnic, or the kids might want to run through the beautiful and huge water fountain that’s in front of the arch to cool off. The Park is located at the foot of fifth Avenue on and the Arch is at the southern terminus of fifth avenue. The Museum of Moving Image is a great museum to visit in New York for families. It chronicles the history of film and it has several interactive exhibits. Lovers of Star Wars will be in heaven as you can even see Chewbacca’s mask, or perhaps the collection on sesame street and its famous muppets will bring back childhood memories for the whole family. There are various movie screenings, events, workshops family programmes and more. Click here to see what’s on when you intend to visit. You could easily spend 2-3 hours at this museum admiring its lovely props from various movies. Museum admission is $15 US per adult (18+) and $9 US per child (3-17) children under 3 are free. On Fridays between 4 pm-8 pm admission is free for all individuals. For open hours click here. The Museum of Moving Image is located on 35th street in Astoria along the Steinway Street stop. Ok so not an attraction as such, but this was one of my all time favourite places I visited in NYC and so I just had to put it on the list. Ellen’s Stardust Diner is a 50’s themed diner where the waitress and waiters take turns in singing and dancing. No sooner had I sat down in this, fairly cramped and cozy diner, that the music was turned up and out came a waiter standing on a narrow runway like stage on centimetres from me belting out a catchy tune. Despite visiting alone, I was bopping away with the rest of the customer and singing along with the biggest grin on my face. Ok so this is not the cheapest place to eat at, but it is definitely where you will have the most fun! The singing is continuous. One minute your waiter is handing you your meal, the next they are on stage singing and dancing. I walked past the diner a few times during my time in NYC and sometimes there was a line up outside. When I went for lunch I walked straight in. But whether you have to line up or not, if your family loves singing and dancing, this is one place you just have to go whilst in NYC. 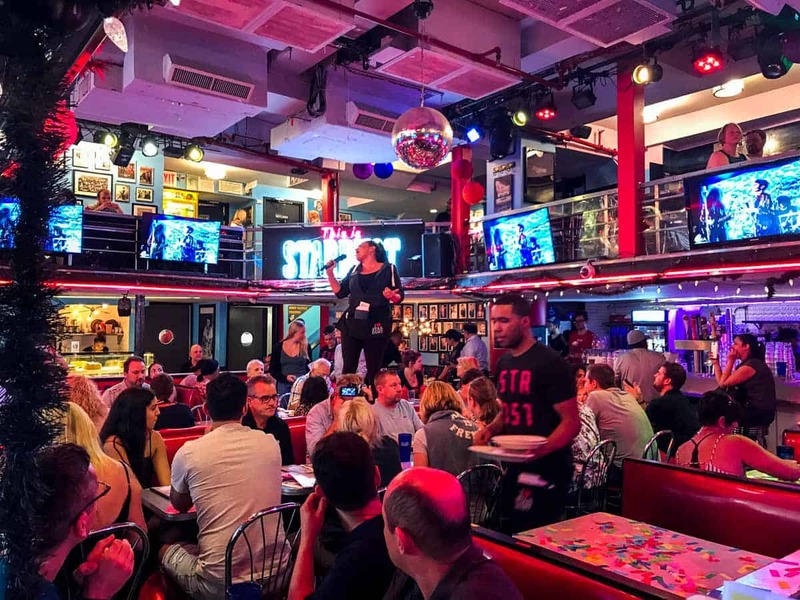 Ellen’s Stardust Diner is located at 1650 Broadway and 51st Street, open daily from 7 am to 12 am, serving breakfast, lunch and dinner. If you prefer for someone else to take care of the transport and figuring out where all the top attractions are, join an organised tour. Check out the ones below which are suitable for families. A cruise around the Hudson River with Circle Line Cruises is a fantastic way to see some of the landmarks of NYC. Going during the day and see landmarks such as the Statue of Liberty, Brooklyn Bridge, One World Tower, Empire State Building and more, or take a night cruise and see the beautiful illuminated NYC skyline. I recently did the Landmarks Cruise with Circle Line and got some fabulous photos – many of the images from this post in fact were taken during that cruise. It’s such a great way to see all of the major NYC landmarks, particularly if you are short on time, as I was during this recent trip. 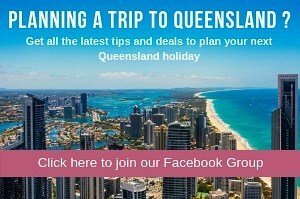 Prices will vary depending on the cruise you choose but start from $31 US ($44 AUD) per adult and $26 US ($36 AUD) per child (3-12), children under 3 are free. For discounted tickets, I recommend you book online through Klook to save money. At the time of publishing – adult tickets were $36.15 AUD and $30.60 for kids. Saving up to $10 AUD per ticket!! Click here to book your discounted tickets. 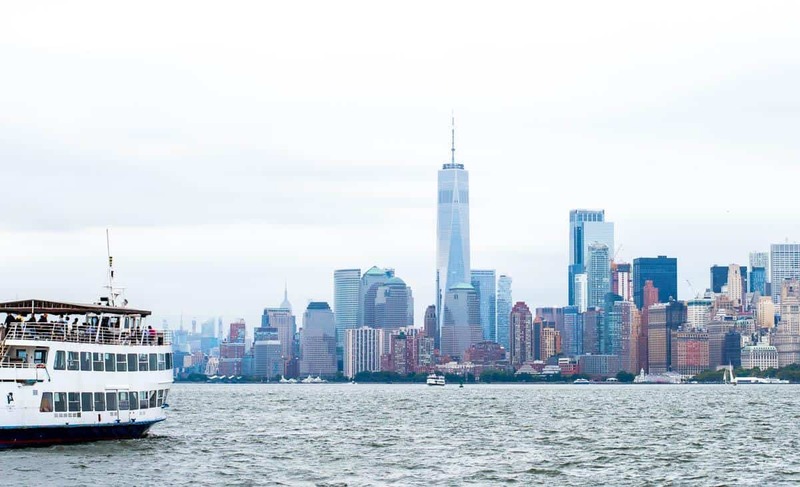 You can port a Circle Line Cruise from Midtown on the Hudson River at Midtown west Pier 83, West 42nd street or Downtown on the east river Pier 16, south street seaport. Tip: A Circle Line Cruise is included in the CityPASS, see below how this can save you even more money. Another way to see the sights of the Big Apple is to go on a Hop on Hop off bus. These tours are always great fun with entertaining tour guides and a top open-air deck so your photos won’t be compromised by anything obstructing them. Your bus will stop by more than 30 different stations covering Madison Square Garden, Central Park, the Metropolitan Museum of Art, Little Italy, and more! And you can hop on and hop off wherever you wish. The Classic Ticket allows you to hop on and off the blue route exploring Midtown and Upper East Side, whilst the Red route explores downtown. Online tickets cost $48 USD per adult and $40 USD per child (5-15). The Premium ticket which is a 2-day pass allowing you to hop on and off the Blue route and the Red route as above, but you will also go on a night tour bus choosing one of three great routes. Either explore Brooklyn, Harlem or NYC by night. Online tickets cost $56 USD per adult and $48 USD per child (5-15). The Deluxe Ticket is a 2 day pass that includes all of the features of the Classic ticket plus 2 more bus routes, the Green route- exploring Harlem’s highlights and the Purple route taking in Brooklyn’s sights. You will also get to go on a sightseeing cruise to admire the famous Lady Liberty from the water. Online tickets cost $72 USD per adult and $56 USD per child (5-15). If you are short on time and want to see as much of NYC in a day as you can, then this 8.5 hour tour is for you. This bus tour will take you to see sights such as the Strawberry Fields Memorial at Central Park, Christopher Columbus Monument at Columbus Circle, Lincoln Center, drive through the East side where you’ll see the Museum Mile along 5th Avenue, visit the St. Patrick’s Cathedral, Rockafeller Center and the Flatiron Building. Downtown you’ll see the neighborhoods of SoHo and Greenwich Village before stopping by the United Nations headquarters and then going up to the observatory floor of the Empire State Building. I recommend you book online through Klook as their tour also gives you access to the observatory in Empire State Building on the 86th floor, which will save you time and money. At the time of publishing – adult tickets were $172.89 AUD and children (2-11) tickets are $155.89 AUD for an 8-hour tour, which is not bad considering entry to the Empire State building alone is around $50 US per adult. Click here to book your tickets. Ok so I wouldn’t usually recommend a helicopter for families – but I have personally done the helicopter tour over New York city and it was spectacular! Whilst certainly not cheap – if you do have room for a splurge on your trip – it should be this! Flying over the Brooklyn Bridge, Central Park, Lady Liberty, Ellis Island and more, admiring these landmarks from a bird’s eye perspective whilst taking in the breath-taking views of the Manhattan skyline, will be a topic at the family dinner table for many years. There are many different helicopter tours to go on in New York, with flights ranging from 15 minutes to 30 minutes. I recommend you book online through Klook, at the time of publishing – tickets started at $310.35 AUD for a 15 minute tour. Click here to book your discounted tickets. If you are interested in what shaped Wall St. into the financial centre that it is today and your keen to learn about the 4 centuries of Wall Street history, from Dutch trading post to global financial hub with a knowledgeable, and engaging tour guide with a passion for Wall St. & US history, then this tour is an absolute must. This 75-minute guided tour Stops at the New York Stock Exchange, Federal Hall, House of Morgan, Trump Tower, Deutsche Bank, Goldman Sachs, Lehman Brothers, Federal Reserve, Charging Bull, Trinity Church, and more while walking along the streets of Lower Manhattan. The cost per person is $49.95 AUD, with kids under 15 free with a paying adult. Click here to book your tickets online. Passes or cards can be a great way to save money on NYC attractions. To work out which card is right for you, make a list of the attractions you want to see, find out how much the entry fee is into these attractions ( I have listed most of them above) and then compare the total with the price of the pass. Sometime you will save a stack, sometimes you won’t. 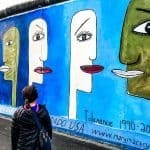 You may also want to consider the value of the convenience of having the pass as well, as you won’t need to line up for tickets, which at some NYC attractions can save you a stack of time. Below I have listed some of the best passes available. This is the pass I used during my recent visit to NYC and I found it very valuable. With this pass you can see the best attractions in NYC over a period of up to 9 consecutive days. So if you were to visit all attractions, thats a value of around $193 USD. The New York CityPASS costs $126 USD for adults and $104 USD for kids. So you can save around $67 USD per adult. If you want to save even more money, buy your CityPASS through Klook. At the time of publishing – adult passes were $108 US and children passes are $89.90 US. That’s a huge saving!! You’ll save around $85 USD person. Click here to book your discounted CityPASS. With the Go New York City Card – Explorer Pass, you can choose 3, 4, 5, 7, or 10 attractions/tours, from 81 attractions in NYC including the Empire State Building, Top of the Rock Observatory, Hop-On Hop-Off Sightseeing Bus Tour, Statue of Liberty Ferry Ticket, AMNH, 9/11 Memorial & Museum, and more. Click here to see what attractions you can choose from. Each pass also includes a discounts and special offers at select restaurants and retailers. Passes for 3 choices are $89 per adult / $67 per child (3-12), for 4 choices $119 per adult / $84 per child, for 5 choices $134 per adult / $99 per child, for 7 choices $169 per adult / $129 per child, for 10 choices $219 per adult / $169 per child. All prices are in USD. If you want to save even more money, buy your Go New York City Card through Klook. At the time of publishing – adult passes were for Passes for 3 choices $79 per adult / $59 per child (3-12), for 4 choices $106 per adult / $74 per child, for 5 choices $119 per adult / $88 per child, for 7 choices $150 per adult / $115 per child, for 10 choices $195 per adult / $150 per child- prices in USD. That’s savings from $10-$20 per pass depending on which options you choose!! Click here to book your discounted Go New York City Pass- Explorer Pass. 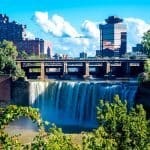 Maybe you only want to see a few of the main tourist attractions, with mainly museums included, if so this New York Attractions Combo ticket is for you. These tickets are only available in adult ticket prices but as you will see below you can still save heaps even if you buy an adult ticket for a child. There are 2 combo tickets to choose from, the 4 choice combo includes Empire State Building Admission Ticket (86th floor main deck), The Metropolitan Museum of Art Admission Ticket, The Museum of Modern Art Admission Ticket and The Intrepid Sea, Air & Space Museum Admission Ticket. This 4 choice combo ticket is around $119 US. The 5 choice combo ticket includes all of the attractions on the 4 choice combo ticket but additionally includes a City Sightseeing Liberty Cruise (non-landing) Admission Ticket. This 5 choice combo ticket normally costs around $150. Depending on if you choose the 4 or 5 attraction combo you could tally up $133 or $164 on admissions- so as you can see with either of the combo tickets you will save money. But to save even more money buy your New York Attractions Combo tickets through Klook. At the time of publishing – 4 combo passes were $73 US and children passes are $81 US. That’s a huge saving of either $46 to $69!! Click here to book your discounted New York Attractions Combo Tickets. Not sure what you want to see? or want to see it all? Then the New York Pass could be what you are after. Purchase a to 10 day pass and get free access to over 100 attractions in NYC. Passes start at $127 USD per adult and $94 USD per child for a 1 day pass, up to $425 USD per adult and $285 USD per child for a 10 day pass. These passes mean you will enjoy huge savings compared to gate prices. But to save even more money if you book the New York pass via Klook you can get the 1 day pass for $107 USD per adult and $84 USD per child, up to $299 USD per adult and $209 USD per child for a 10 day pass. Click here to book your unbelievably discounted New York Pass. New York City is a massive place and so when visiting with kids I’d recommend staying somewhere central like around Times Square. 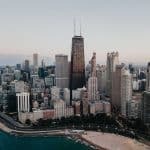 Yes its pretty touristy, but many of the attractions you will most likely visit are within walking distance from here or only a short subway ride away. Before booking accommodation, know that NYC is crazy expensive and you will be paying a lot for your accommodation. 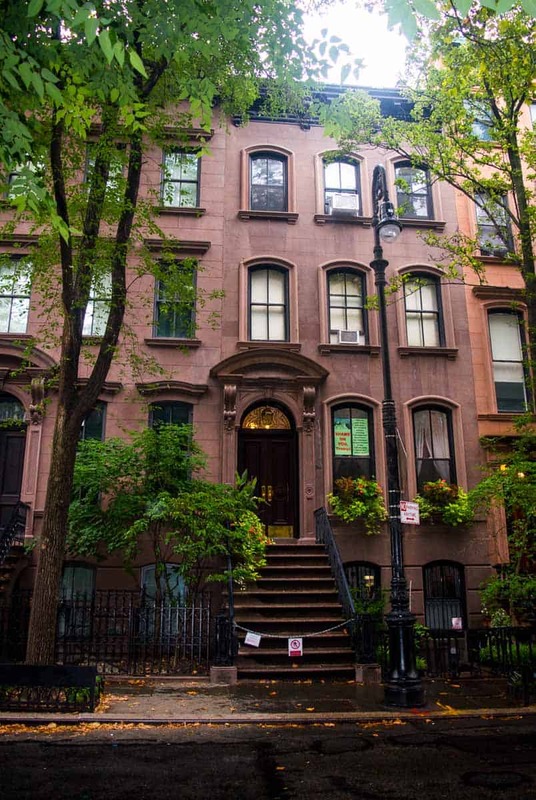 If the accommodation listed below is simply outside your price range, consider accommodation in Brooklyn or Jersey and add extra to your budget for catching the subway into Manhattan each day. Here are my recommendations of the best rated budget hotels for families in and around the Times Square area. A family room contains 2 double beds, TV and tea and coffee making facilities. On site is parking, fitness center and breakfast is included. 2 minute walk to the centre of Times Square and 2 minute walk to the nearest subway station which is 47-50 Streets at the Rockefeller Center. 86% of people on TripAdvisor rate this hotel as above average. Click here for more information about the Broadway at Times Square Hotel or to make a booking. 4 minute walk to the centre of Times Square and 2 minute walk to the nearest subway station which is 47-50 Streets at the Rockefeller Center. 75% of people on TripAdvisor rate this hotel as above average. At the time of publishing the rate was $335 for 2 adults and 2 children on Booking.com. Click here for more information about the Hotel at Times Square or to make a booking. A family room contains 2 double beds, desk, TV, with cots available upon request. On site is a swimming pool and parking. 13 minute walk to the centre of Times Square and 6 minute walk to the nearest subway station which is 42 St Port Authority. 68% of people on TripAdvisor rate this hotel as above average. At the time of publishing the rate was $283 for 2 adults and 2 children on Booking.com. Click here for more information about the Travel Inn Hotel or to make a booking. A family room contains 2 double beds, desk and TV. On site is a fitness centre, bar and restaurant. 1 minute walk to the centre of Times Square and 1 minute walk to the nearest subway station which is 49 St.
66% of people on TripAdvisor rate this hotel as above average. At the time of publishing the rate was $330 for 2 adults and 2 children on Booking.com. Click here for more information about the Hotel Edison Times Square Hotel or to make a booking. It likely that you will arrive in NYC either by JFK airport or Newark airport. I have provided information on getting to and from NYC from both airports below. A taxi from JFK to NYC will cost a flat $52 USD or $56.50 USD between peak hours (4-8pm weekdays). Using one of the maps decide whether to take the train to Jamaica or Howard Beach station. Then board the appropriate train. When you disembark at Jamaica or Howard Beach station, purchase a ticket before exiting. If you intend to use the subway during your time in NYC, purchase a MetroCard for $1 and add money to cover your fares. It is $5 for the Airtrain (from airport to this point) and $2.75 for your subway ticket (from this point into NYC). Using a map, decide the appropriate train to take to get to the subway nearest your hotel. Tip: Print out a map a head of time and work out the nearest subway to your hotel as well as the best route to take. Also read my tips below for catching the subway. Click here for more information about getting from JFK to Manhattan. Depending upon how many people are in your group, at around $50-75 USD a taxi may be your cheapest option. Alternatively I’d consider the Newark Airport Express bus, which is what I took during my recent trip. Tickets for the bus are $30 USD round trip or $17 USD one way for adults. Kids under 11 are $5 USD each way, students are $10 each way and kids under 5 are free. The bus operates between the hours of 4 am to 1.15 am everyday. There are three stops in NYC: Port Authority, Bryant Park and Grand Central. For more information about the timetable click here. A one way trip takes around 1 hour. Manhattan is a big place and the streets appear to be much wider than your average city block. So keep this in mind when getting between places. Particularly if you have tours and have to be somewhere at a certain time. I found this out the hard way! Once you get the hang of it, getting around NYC is fairly straight forward. The streets are divided into a grid with streets (ie 1st, 2nd, 3rd ) going in one direction and the avenues going in the other direction. So this helps when you are trying to work out if you are going the right way. Whilst it easy enough to walk between attractions in certain areas (ie Times Square etc), you will need to get transport between these areas. Purchase a MetroCard in any subway station (you may have already purchased one from the airport if you caught the AirTrain). Top up your MetroCard as required – knowing its $2.75 USD per ride. You can get a 3-day or 7-day ticket, but unless you’re using the subway many times a day, I didn’t find this worth while. The subway lines are coloured by numbers and letters. The subway trains go in 2 directions- Uptown and downtown. Plan your route ahead of time by referring to the New York City Subway Map. There are express trains and local trains. On your subway map express trains only stop on the white circles, not the black circles, where local trains stop at every station. If you make a mistake – don’t worry – just get off at the first stop and adjust your route. Some subways have different entrances for trains going uptown or downtown, so check this before entering. Otherwise you may have wasted your money as you will need to exit and find the correct entrance. Swipe to enter – no need to swipe on exit. Ensure you take the correct exit for the subway – as most subways may multiple. Before you exit the subway, know the street name you are heading to and follow the exit signs accordingly. Much of the walkways for the subways are underground and so sometimes the actual exits could be multiple blocks away from where you want to be and you will just need to backtrack if you take the wrong exit. Take the subway/bus where you can to avoid getting tired too quickly. I walked so much during my time in NYC and my feet were aching so bad after only 2 days. You can also use taxi’s, Uber and Lyft. However with the traffic it is often quicker to walk! If you found this destination guide on NYC helpful, I’d recommend you download our free 32 page NYC with kids guide. Enter your details below and you’ll get it in your inbox in seconds! Thank you to the Ride, Gulliver’s Gate, In Location Tours and CityPASS for hosting me. Of course all opinions expressed are my own and have not been influenced in anyway. Get our NYC with Kids Guide FREE! Get our free 32 page guide which includes everything you need to know for a stress free trip to NYC with the kids. Start planning that NYC trip now! 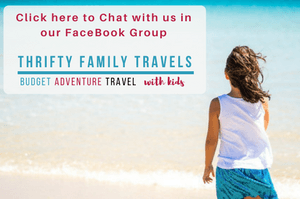 I agree to have the NYC with kids guide emailed to me & be added to your email list where from time to time you will send me awesome family travel tips.